So, you want to be a freelance writer, huh? I hear you. The idea of setting your own hours, picking projects you love, and working from home (or anywhere with an Internet connection) is appealing, right? Many people assume you need Hemingway-level writing skills to be able to beat it as a freelance writer. Friend, that’s not necessarily the case. Sure, you must have the ability to write a sentence (preferably with correct grammar). I mean, that’s kind of obvious. But, that’s not all you need to make it as a writer, either. 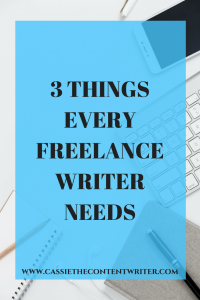 Here are the three things you absolutely need to succeed as a writer-for-hire. Read on, friend. Yep, that’s right, friend. You need confidence. You know you’re a great writer. Your mom says you’re a great writer. Shoot, you’ve probably been writing since the day you could properly hold a pencil. But, be honest: do you believe you’re a great writer? I mean, really believe it? As a writer, you’re going to hear plenty of rejection, lots of silence, and maybe a nay-sayer or two. But, you can’t let the negativity cause you to want to snap your pencil in two (or trash your keyboard) and give up on your dreams. If you don’t believe in yourself and your writing skills, no one else will either. Don’t have confidence yet? Then fake it ’til you make it, friend! As cliche as that sounds, it works. Be confident in your skills, in your pitches, and in yourself. Do you like your current job situation? Are you wishing you could change your career path? Are you willing to do what it takes to make a go of it as a freelance writer? To make it as a freelance writer, you have to be determined to make it your career. Unlike a regular 9-5 (and especially if you’re a beginner freelance writer), work just won’t magically show up on your desk. Even after unveiling your new website for the world to see, it’s kind of unlikely your inbox will be overflowing with new gigs for you to take on. You’re going to have to work for those gigs. I mean, really hustle for them. Sometimes, landing clients is as easy as sending or replying to a tweet. Other times, not so much. You’re going to have to pitch for work if you want to make some moolah. If you want freelancing to work for you, then you have to do the work. There’s really no way around it. It won’t be handed to you. Your writing business will be what you make it. 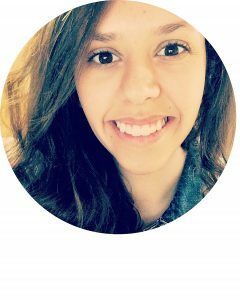 So, you’ve got the confidence and the determination you need to make it as a freelance writer. Great! That’s awesome! Look at you go! But, wait just one second, friend. There’s one more thing. Do you have the willpower to go along with it? Yep. Willpower. Can you stay off social media for hours while you research a topic for a client? What about letting those dirty dishes sit while you work during your designated hours? Or, are you strong enough to turn off Netflix while you finish a blog post? Let’s not forget about having the willpower to actually sit down at your desk and work. That’s kind of important. You have to treat freelance writing as your job. Because it is your job. The hard reality is, friend, is that it’s your business. If you want it to succeed, you have to put in the work. It may be tempting to slack off and watch Netflix instead, but your business will not prosper if you’re hitting “next episode” and not sending out that next pitch. You have to have the willpower to sit down in your chair and work. If you have confidence, determination, and willpower then there’s a good chance you’re going to make it as a freelance writer. Don’t let anyone tell you differently, either. Get out there and make things happen! What other things do you think is a “must have” for a freelance writer? Tell me in the comments below! P.S. Did you stumble on this post and you’re not a freelance writer, but you need one? I’ve got you covered, friend. Contact me!